In normal implementation, it is always a best practice to provide permission per group, rather than per individual ID. Simple reason is, it is easy to administer and manage. 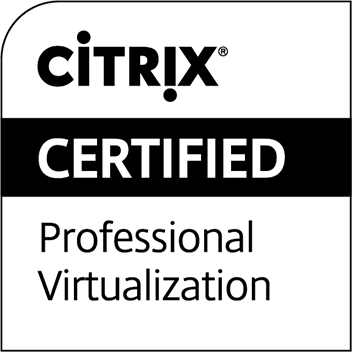 Therefore, it was what I did in one of my vCenter implementation, but I could not make it work. 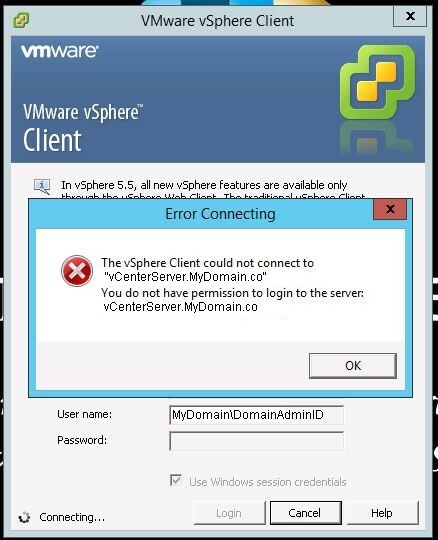 It just did not allow me to login using my Domain ID (which configured as part of Local Administrators members in vCenter server), although local ID (part of Local Administrators members as well) worked as expected. (Double kill!) 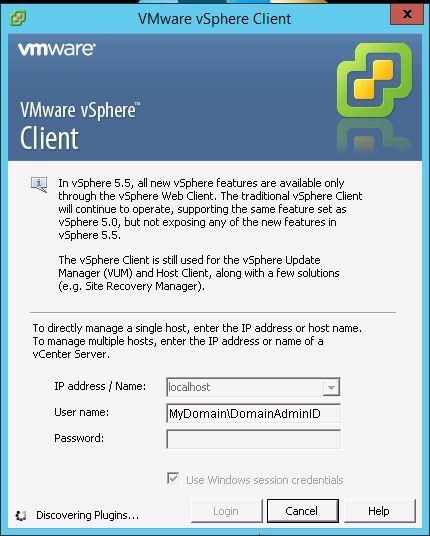 Assigned that Domain ID (MyDomain\DomainAdminID) to Local Administrators in vCenter server. 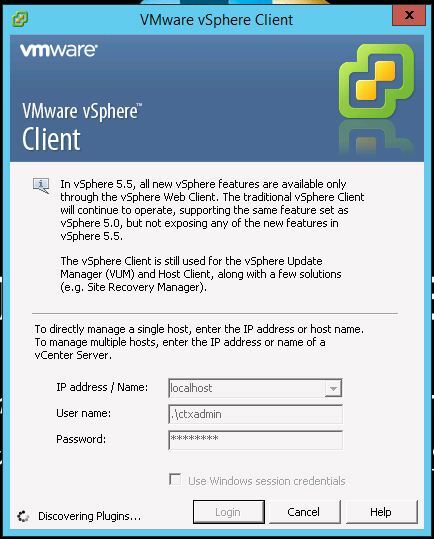 Configured Local Administrators with Full Admin Role in vCenter Permissions. Note that above Domain ID was not configured here. Local ID (.\ctxadmin) that will be used to test also not be configured here. 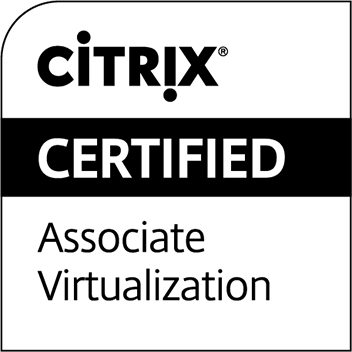 Add User ID / group to vCenter. 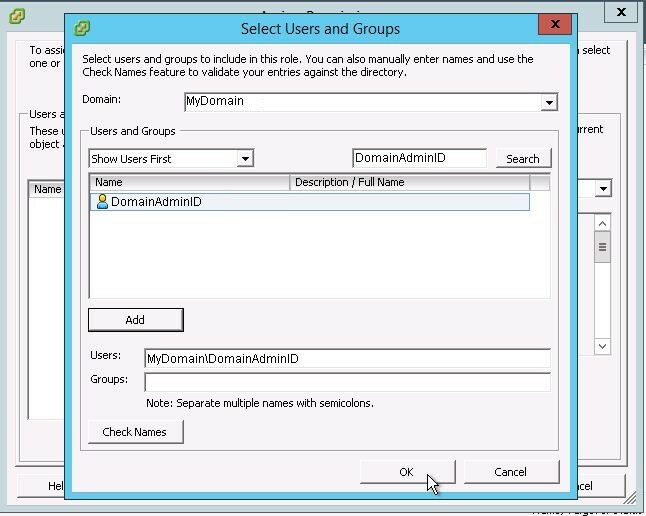 Choose the domain, search the ID / group, and add them accordingly. 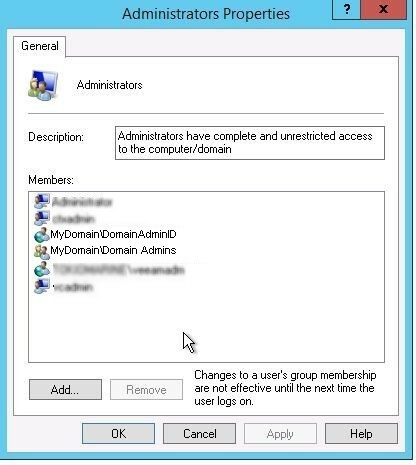 Session active with AD user ID.